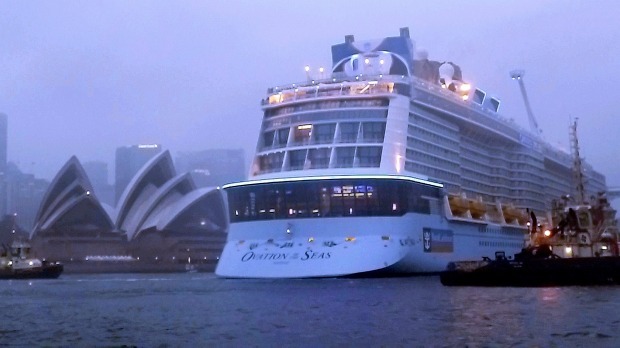 Photos: Ovation of the Seas, the largest cruise ship to be based in Australia, arrives in Sydney for the first time in 2016. 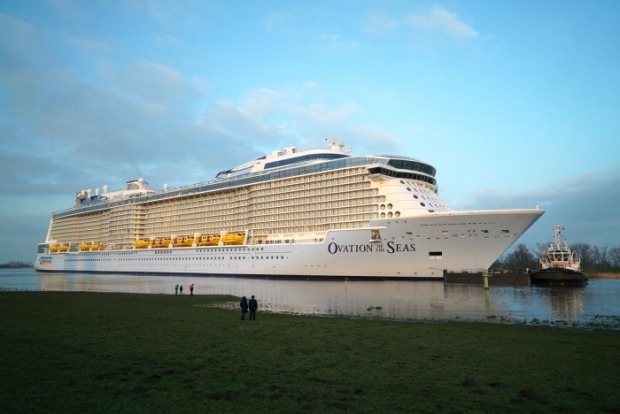 The new member of the Royal Caribbean family, Ovation of the Seas. 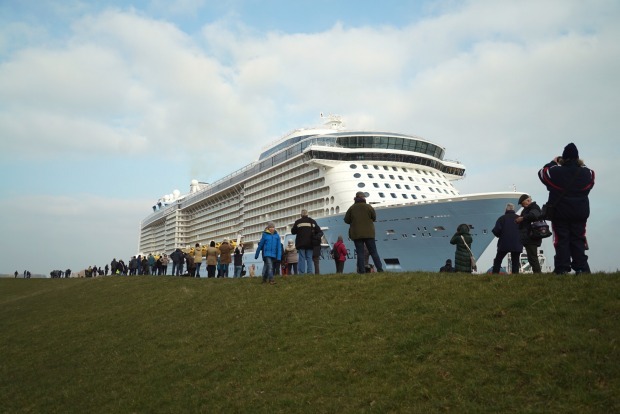 RCI officially took delivery of its 24th ship in a ceremony in Bremerhaven, Germany in April 2016. 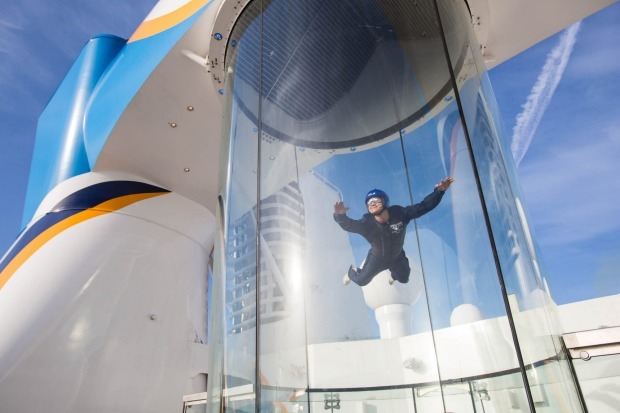 Ovation of the Seas: The North Star observation pod. 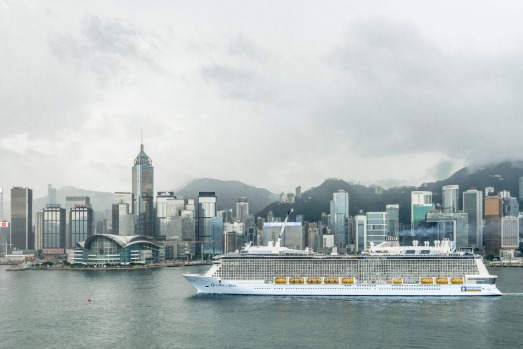 Ovation of the Seas in Hong Kong. 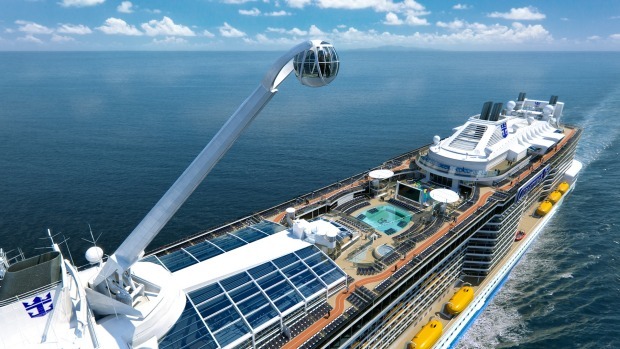 Ovation of the Seas will be the largest cruise ship ever based in Australia. 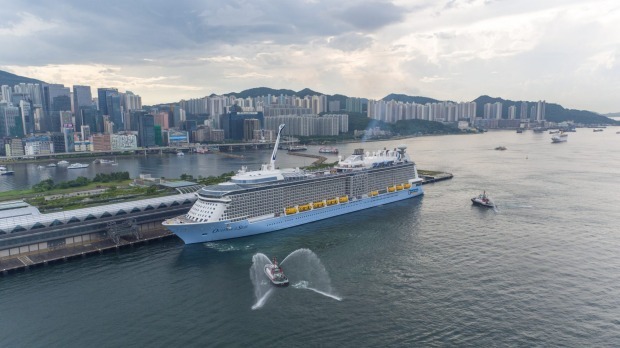 Captain Henrik Loy stands in front of Ovation of the Seas where he will serve as Captain. 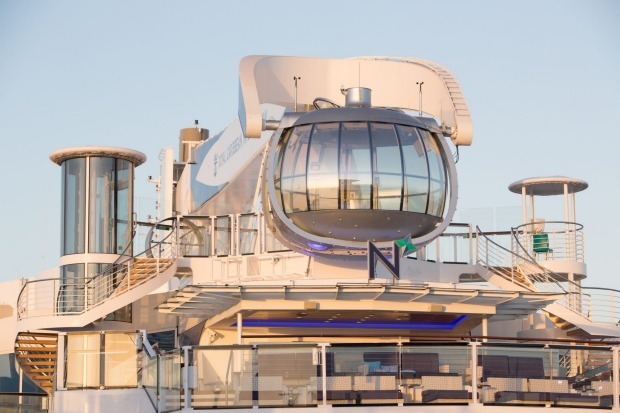 The North Star capsule observation deck on board the billion-dollar mega-liner. 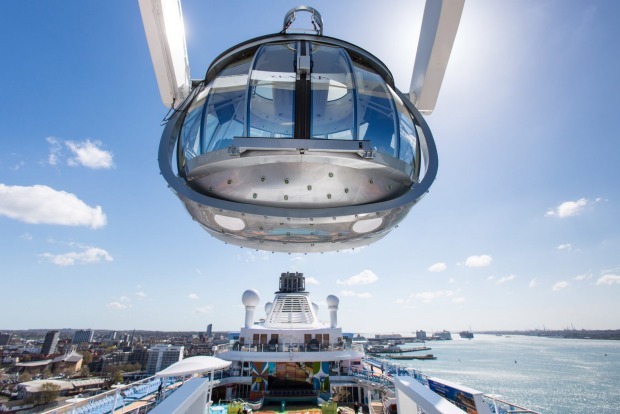 View from the pod of The North Star on Ovation of the Seas. 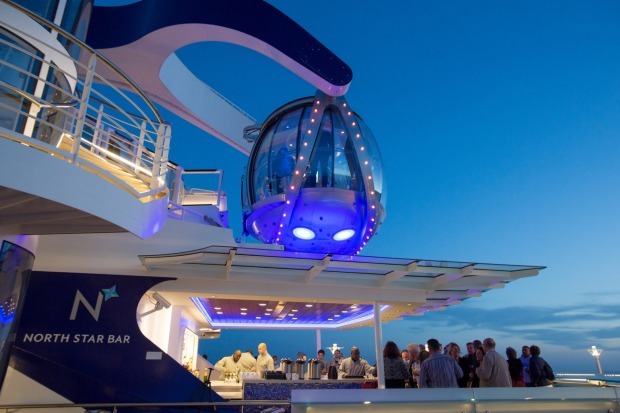 The North Star viewing arm on top deck on Ovation of the Seas. 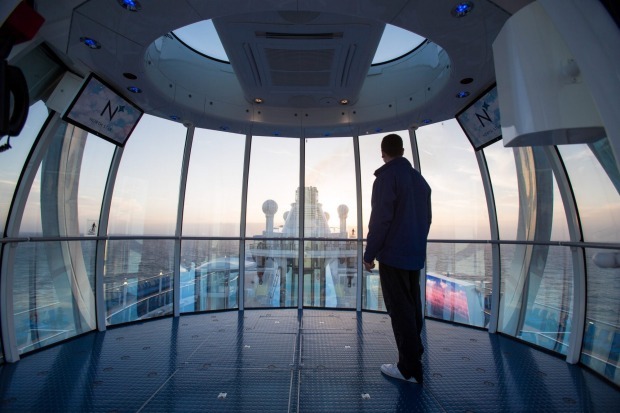 Into the future: The glass capsule observation deck. 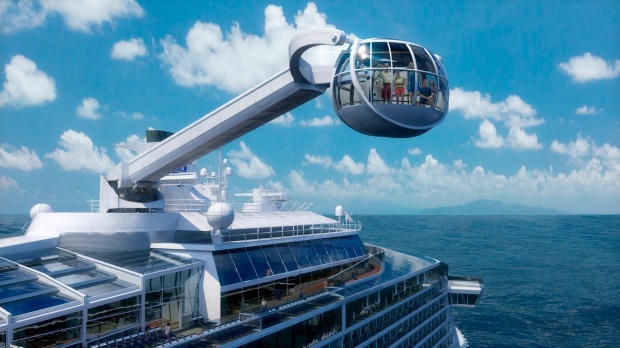 Ovation of the Seas: Australia will be the first home port for this billion-dollar mega-liner. 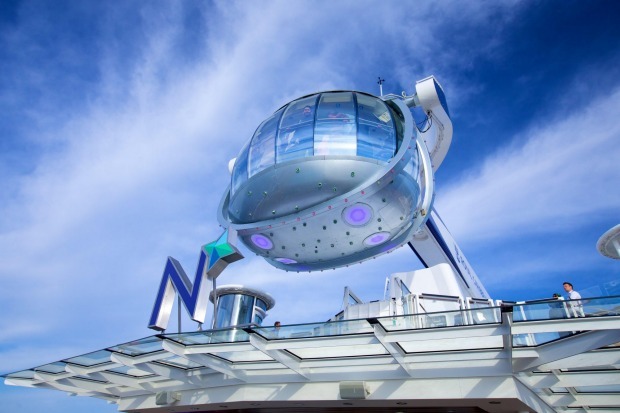 The North Star observation pod. 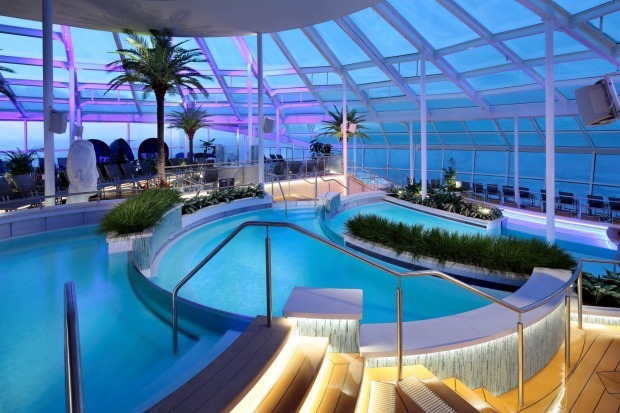 View across the pool deck at sunset on Ovation of the Seas. 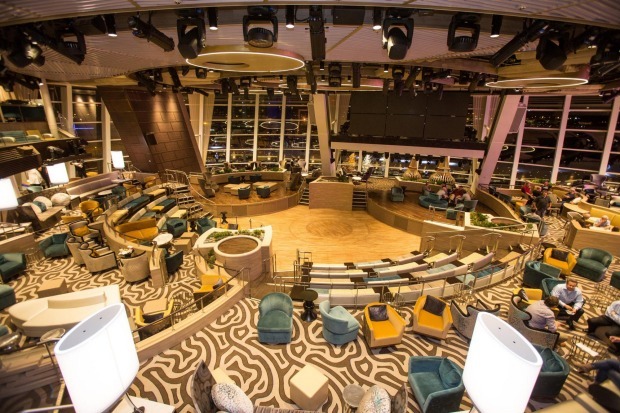 The North Star on Ovation of the Seas. 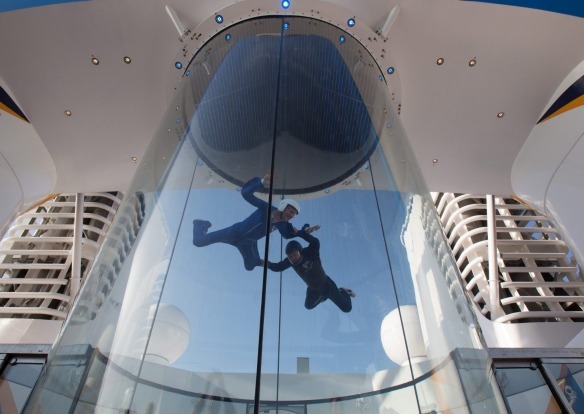 The Ripcord by iFLY: The skydiving simulator. 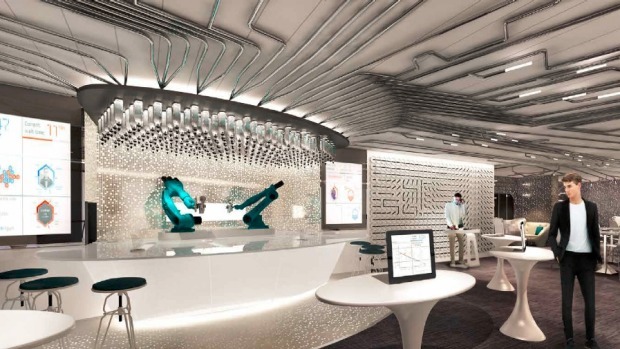 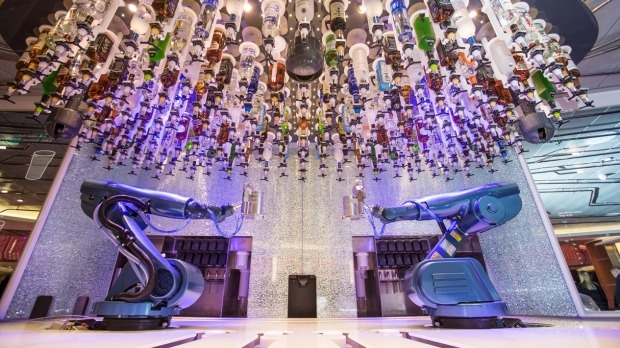 Futuristic experience: The Bionic Bar. 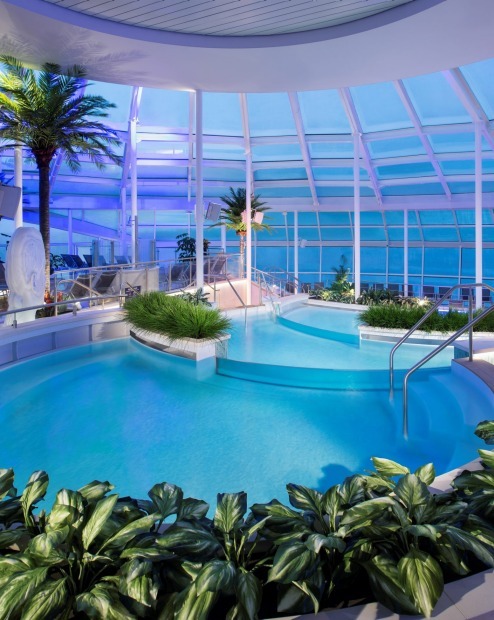 The pool solarium on Ovation of the Seas. 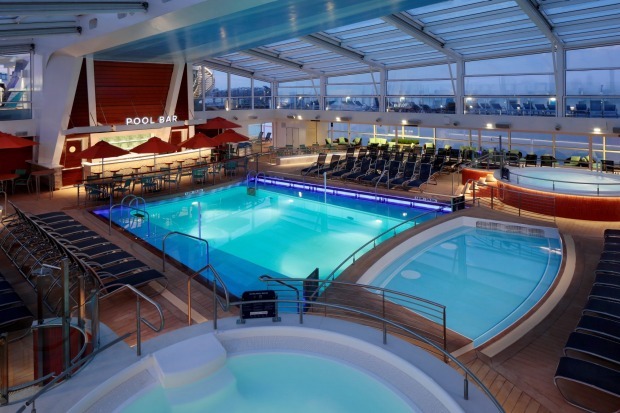 The pool deck on board. 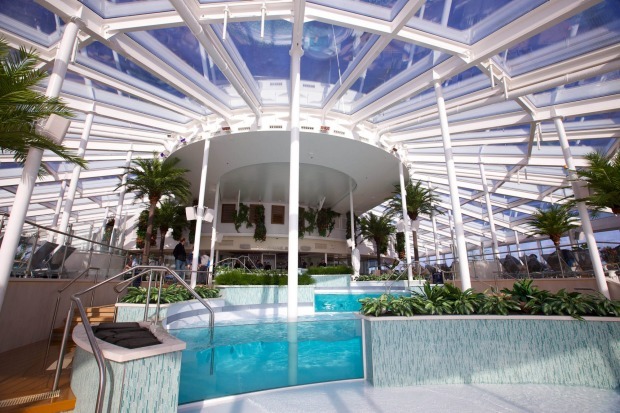 The solarium on Ovation of the Seas. 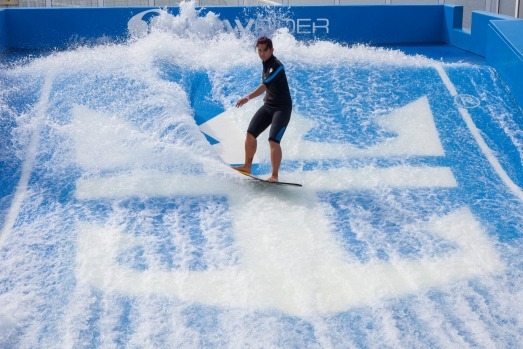 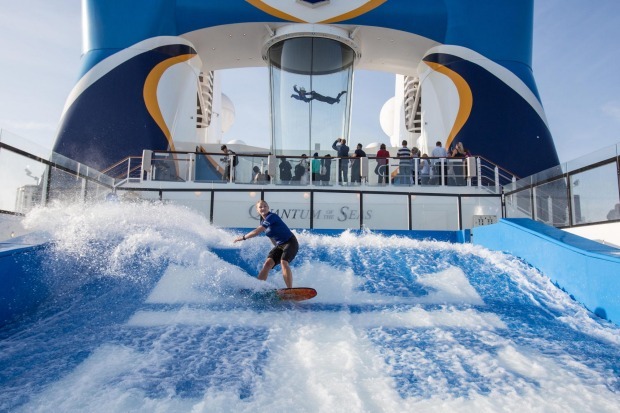 Flowrider on Ovation of the Seas. 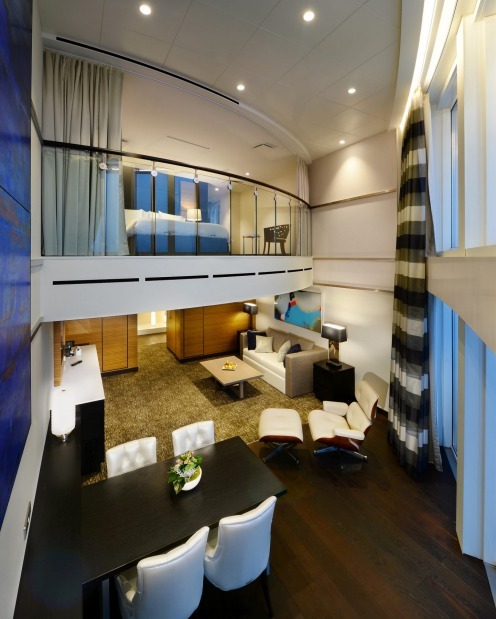 Grand loft suite with balcony on Ovation of the Seas. 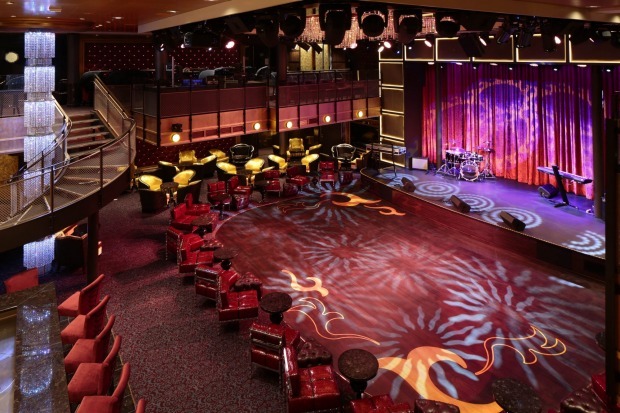 The Two70 entertainment venue on board. 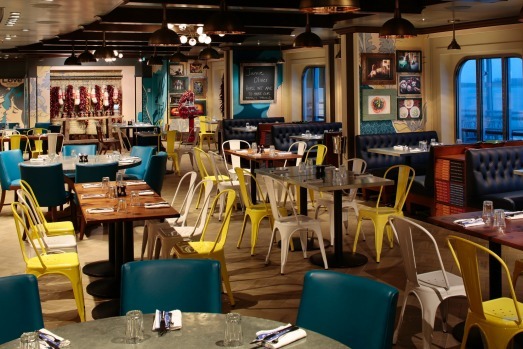 The Jamie's Italian restaurants will be sold as a group. 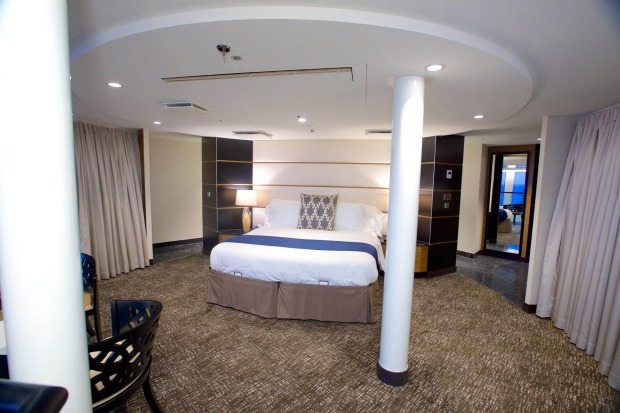 Ovation of the Seas royal loft suite. 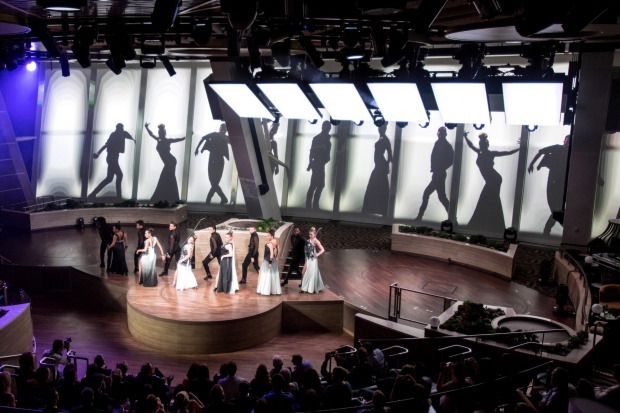 Ovation of the Seas the royal loft. 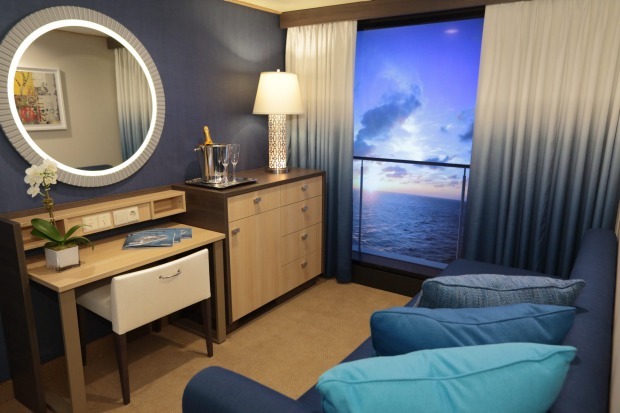 Ovation the Seas the stateroom. 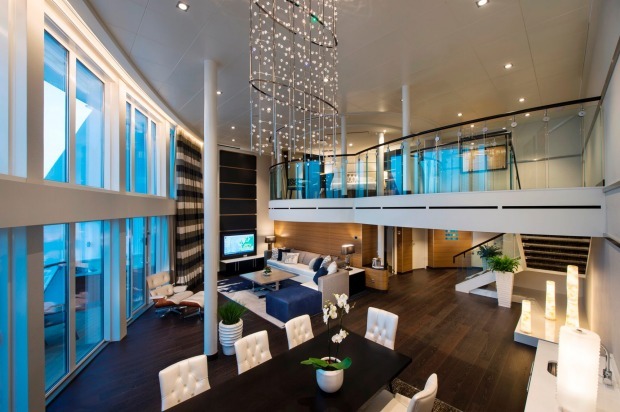 Ovation of the seas grand loft suite with balcony. 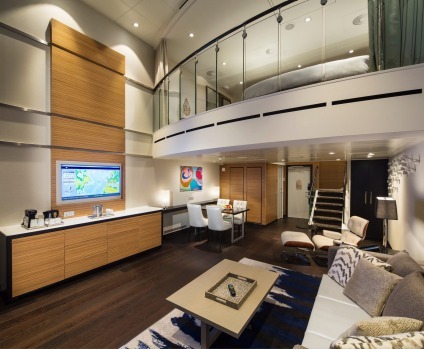 Ovation of the Seas owner's loft suite. 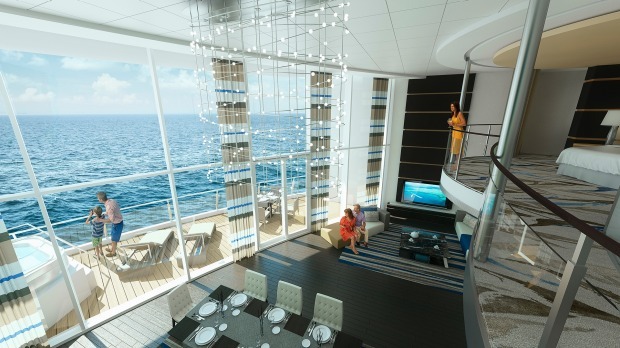 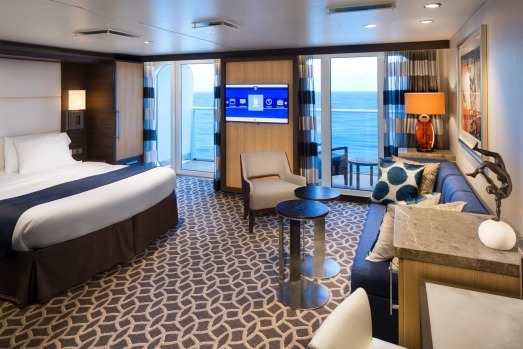 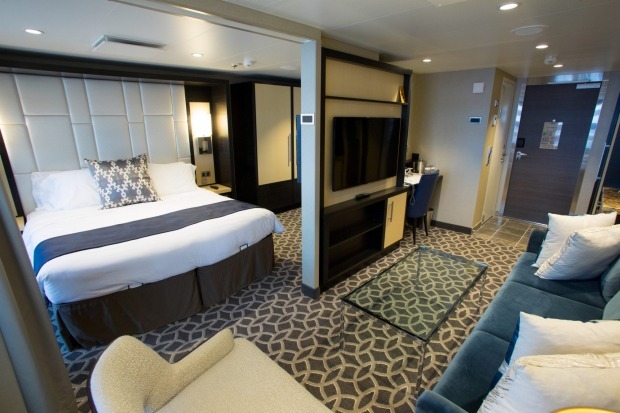 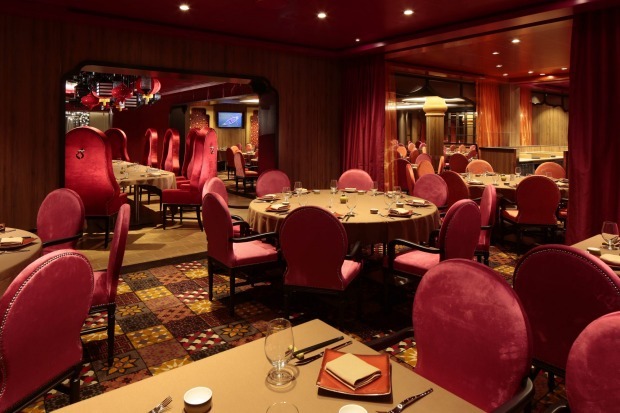 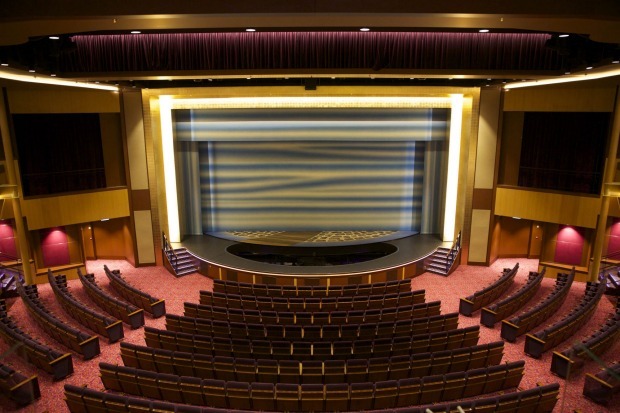 Interior rooms feature 'virtual balconies' displaying real-time views from outside the ship. 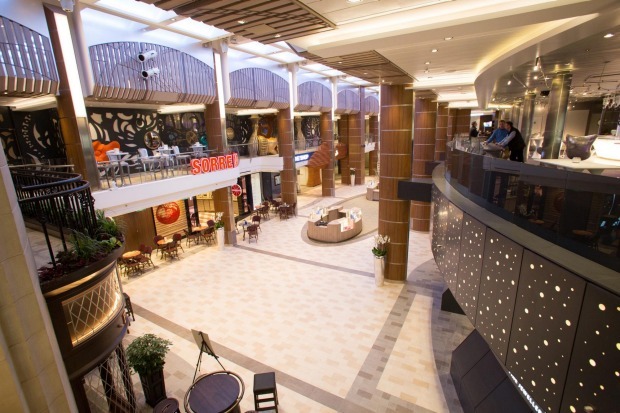 The royal esplanade on Ovation of the Seas. 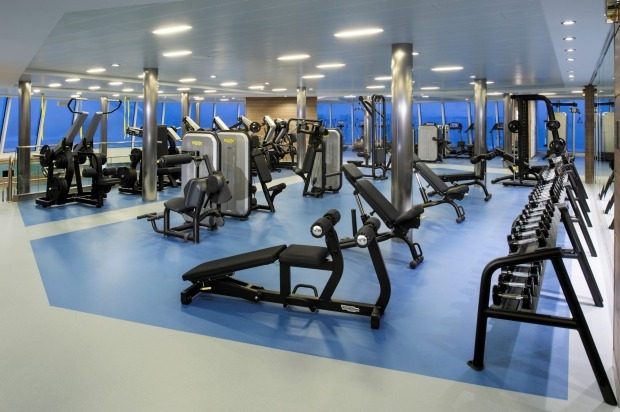 The fitness centre on board. 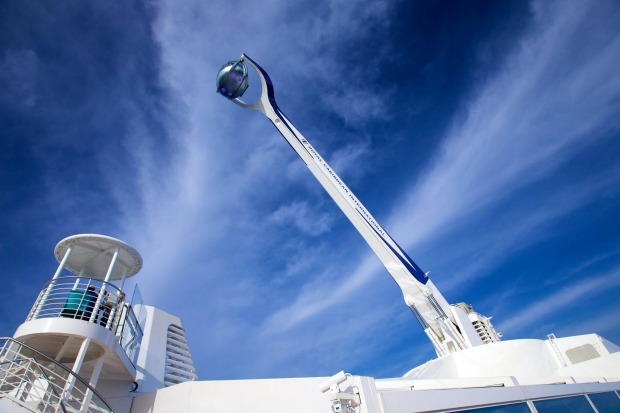 The astronomic growth of the Australian cruise industry may be slowing down due to Sydney's capacity constraints, according to peak cruise body Cruise Lines International Association (CLIA). 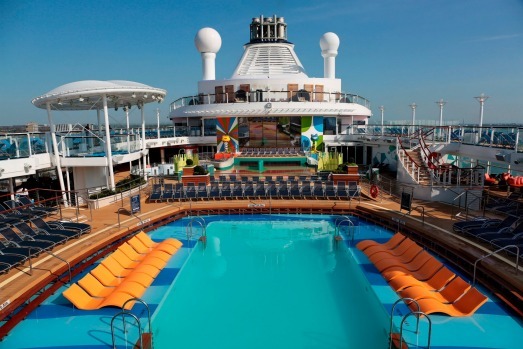 Australia is the world's fifth-largest cruising nation, with 1.34 million passengers in 2017. 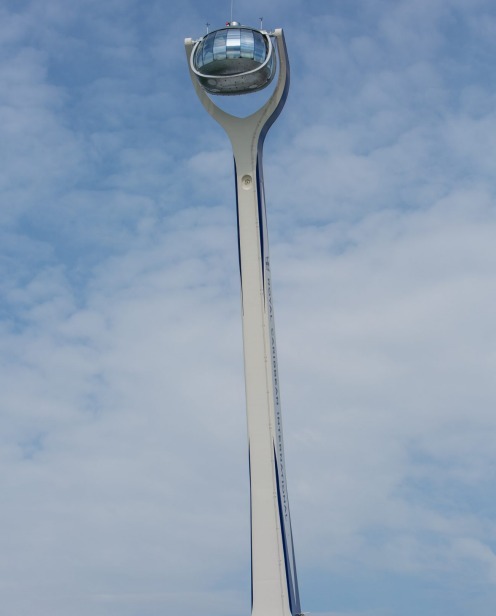 In 2007, the number was just 250,000. 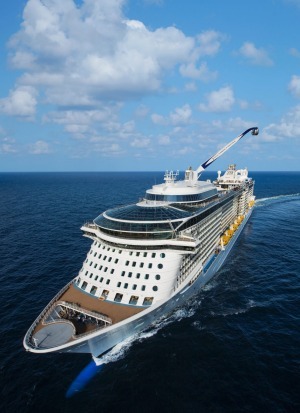 Royal Caribbean, which has the largest ship in Australian waters, Ovation of the Seas, has increased its number of ships from one in 2007 to five in 2019 to keep up with demand. 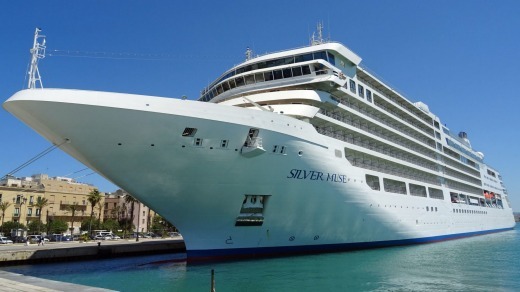 Silversea's Silver Muse is one of the ships visiting Australia for the first time this season. 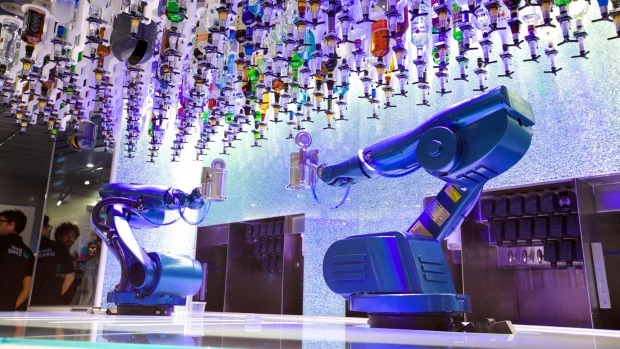 However, the industry's growth may be slowing down. 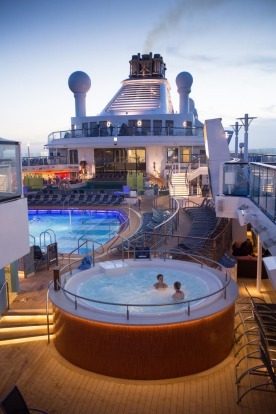 The number of Australians who took cruises in 2017 increased only 3.1 per cent from the previous year, compared to the 19.4 per cent increase average of the last decade. 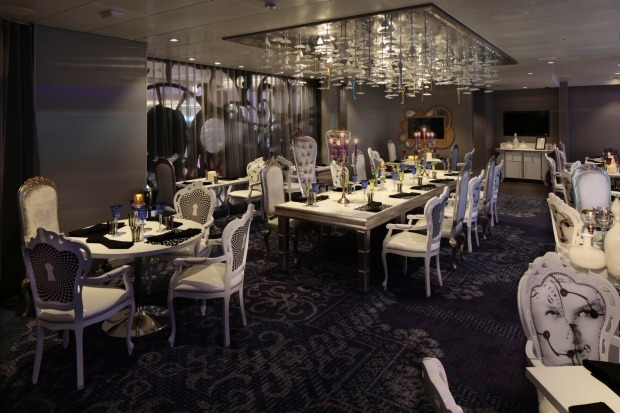 Ponant's Le Laperouse will visit on February 7, followed by MSC Magnifica on March 18. 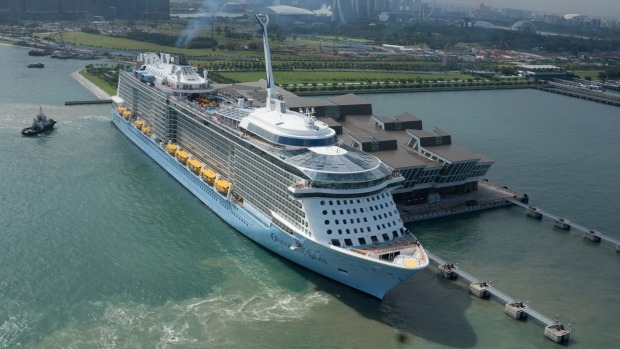 Apart from Le Paperouse, all the ships will also make maiden visits to Melbourne's Station Pier. 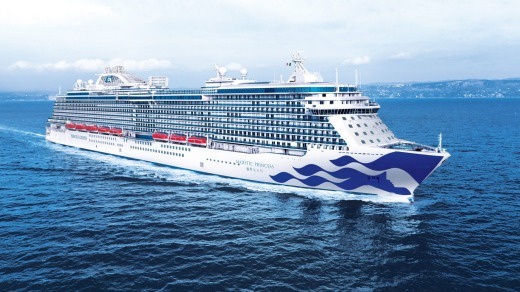 Majestic Princess is the largest Princess cruise ship to base itself in Australia. 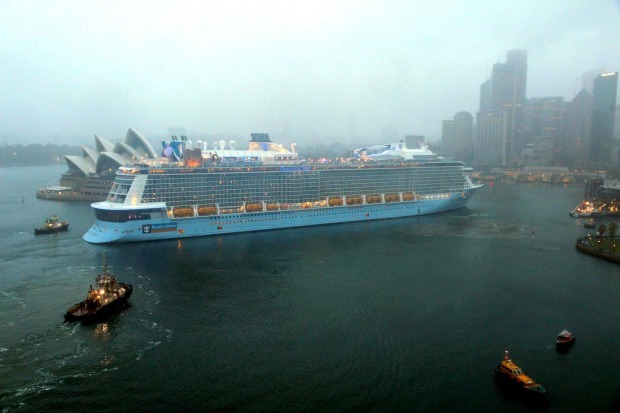 The NSW government is looking for a third port location. 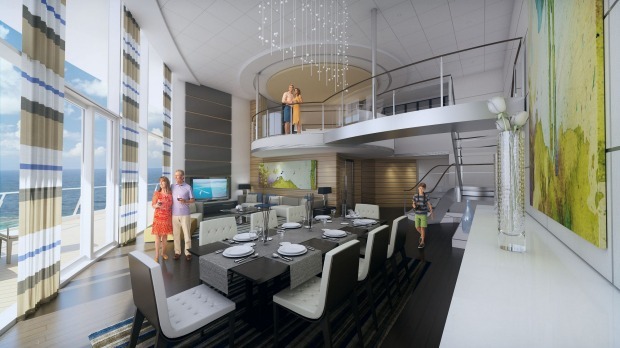 In 2018, it ruled out Garden Island as a potential site. 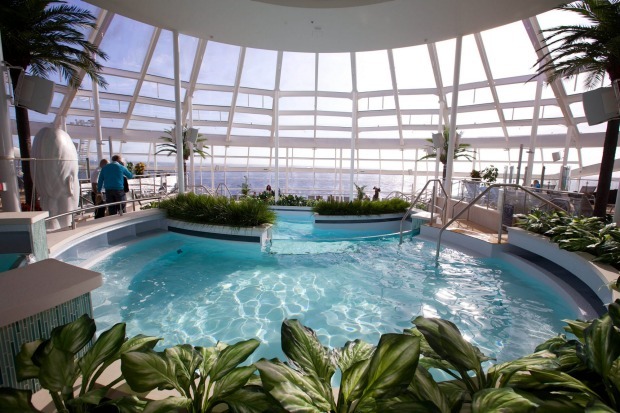 Botany Bay is still under consideration. 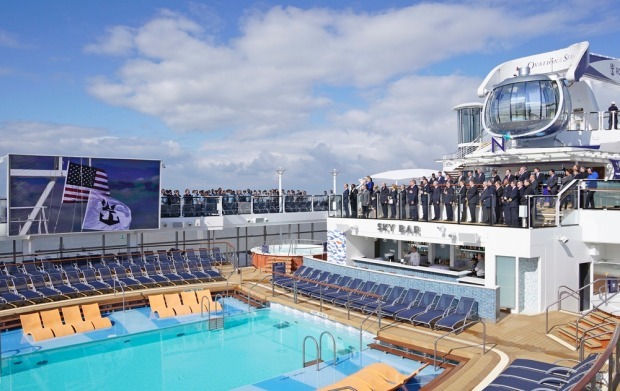 A CLIA Australasia report in 2017 found that in 2016-17, NSW accounted for 58 per cent of the cruise industry's $5.3 billion contribution to the national economy, but its share had dropped 10 per cent over the past two years due to Sydney reaching capacity for ships. 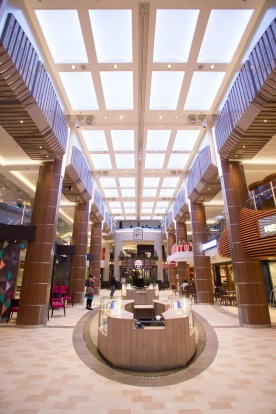 As a result, Victoria experienced a 12 per cent increase, taking 7 per cent share of the national contribution. 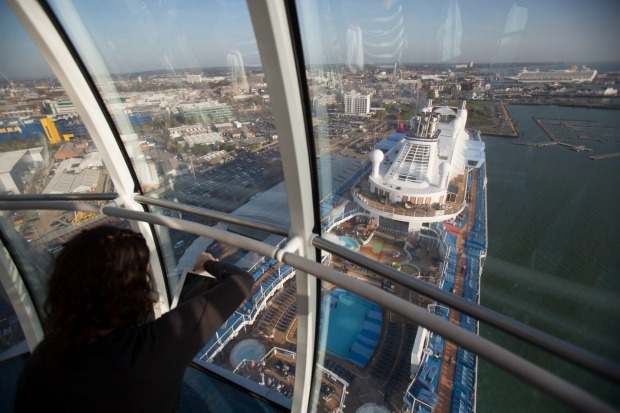 Melbourne's Station Pier has seen a steady increase in the number of cruise ship visits. 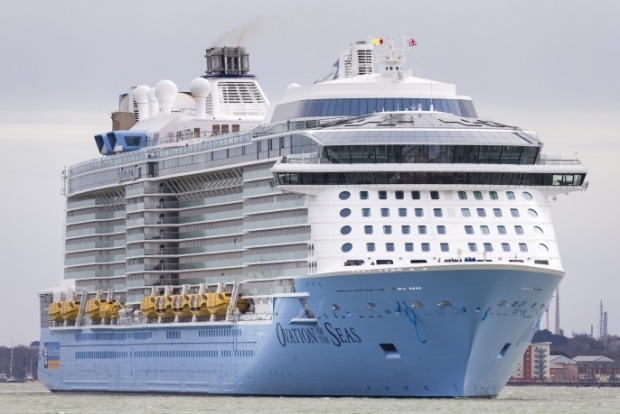 2018-19 will see 120 ships visit the port, up from 108 in 2017-18 and 88 in 2016-17. 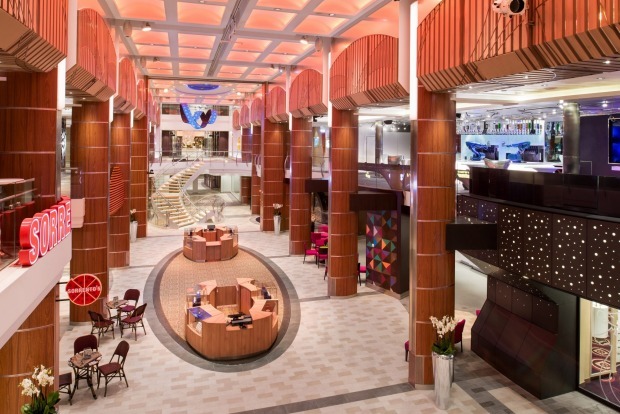 Station Pier can accommodate three cruise ships at a time. 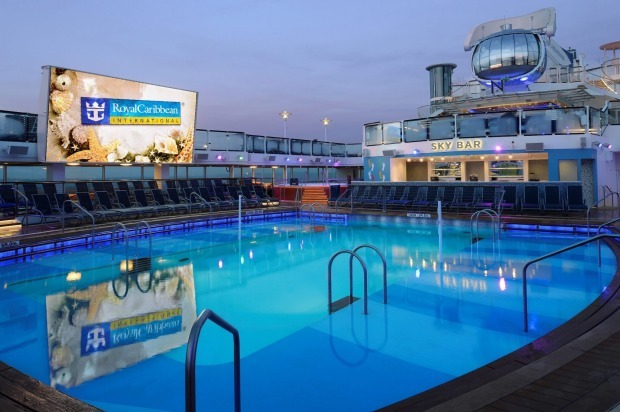 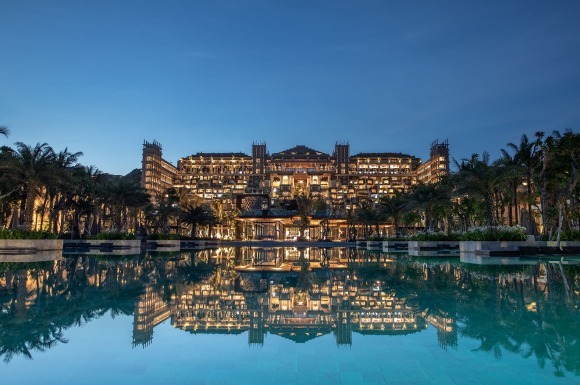 Royal Caribbean International also announced it will base the 2850-passenger luxury ship Celebrity Eclipse in Melbourne during the 2020-21 summer reason. 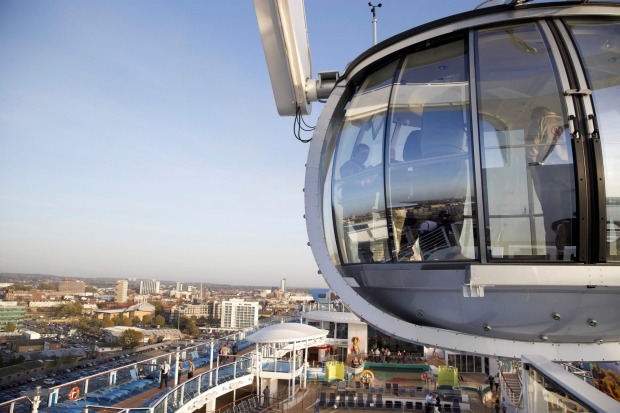 Regional ports are also seeing an increase in ship visits. 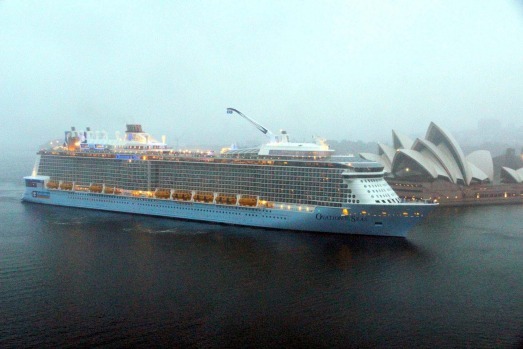 The number of ships visiting Newcastle and Eden in NSW is on the rise, with 15 and 17 ships expected respectively for 2018-19. 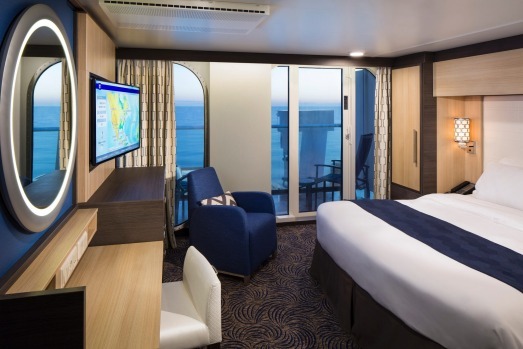 Wollongong's Port Kembla started receiving cruise ship visits in 2016 and has welcomed six cruise ships since, with five more scheduled until 2021. 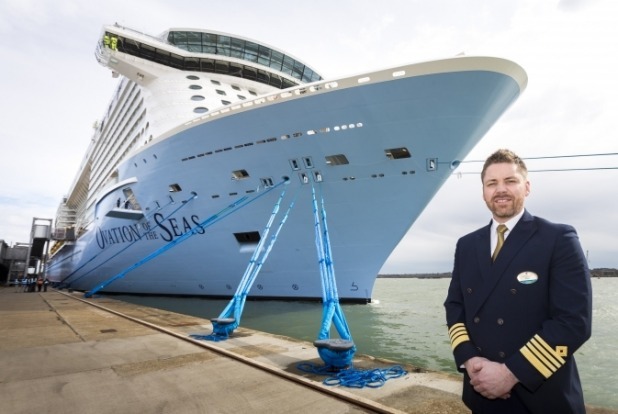 Leigh Colacino, Wollongong City Councillor and chair of Cruise Wollongong, agrees interest in regional cruising is growing. 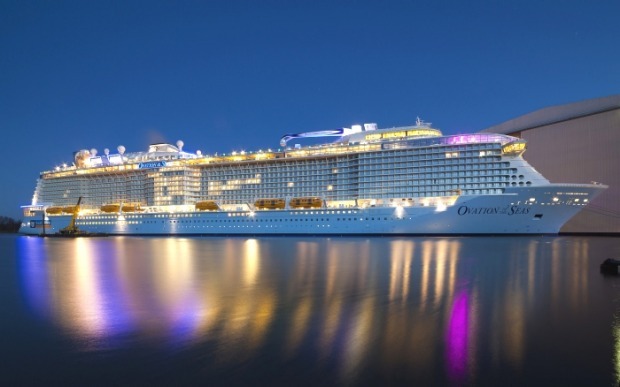 He says while it's taken a lot of time and effort to get the word out about Wollongong as a destination, he's seen interest from cruise lines. 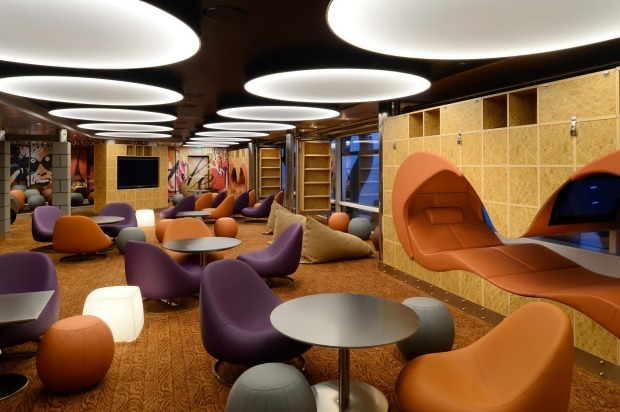 "When I explain what we've got they get very interested and go 'this is what we need!'. 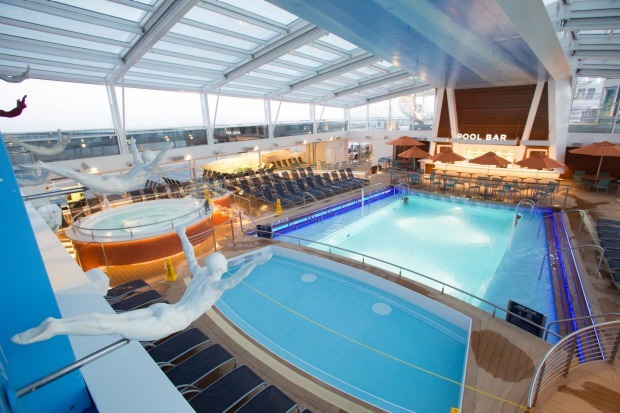 Because the cruise industry is growing at such a huge rate they've got to deliver that new experience," Colacino says. 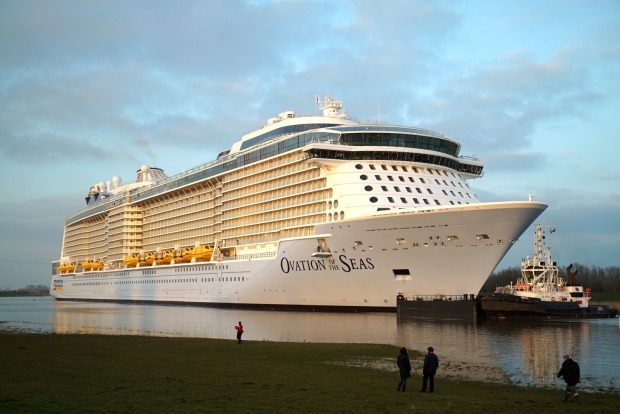 Editor's note: An earlier version of this story incorrectly stated Voyager of the Seas, not Ovation of the Seas, was the largest ship to be based in Australia.